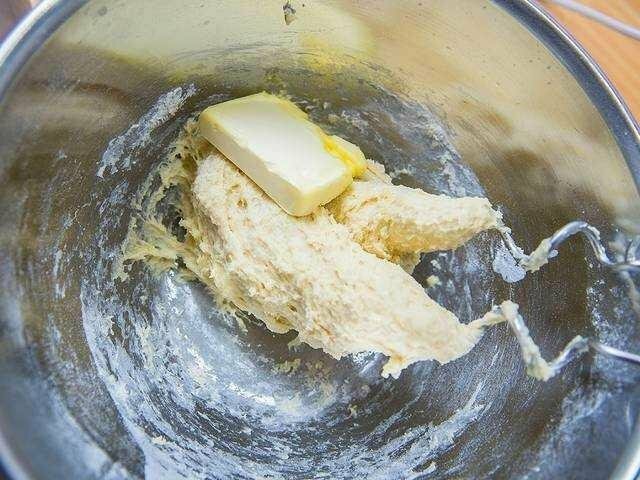 Put all dough ingredients except butter. 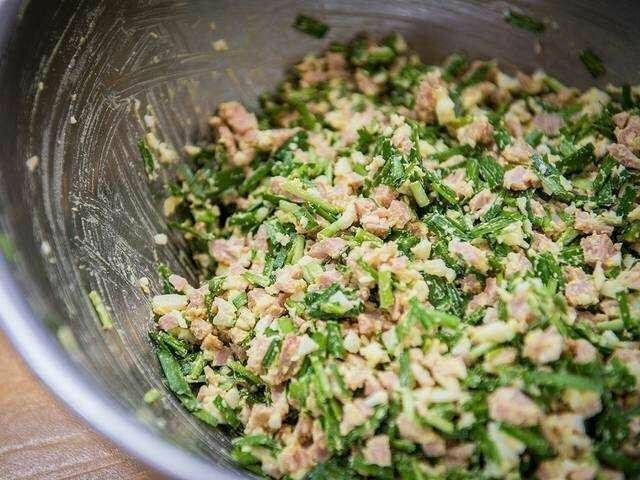 Shake until all ingredients are mixed. Put the butter. 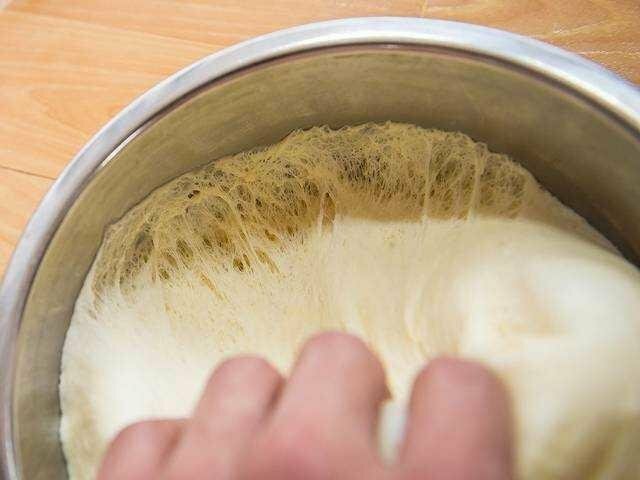 shake it back until the dough is smooth and flat. 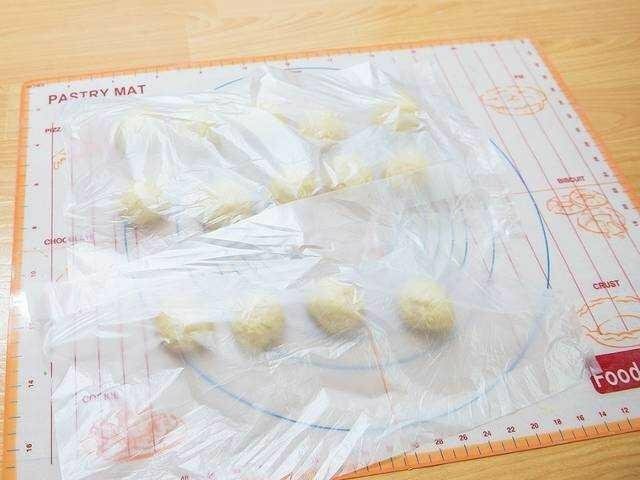 Adjust the dough neatly, cover with plastic wrap. Leave for 1 hour (fermentation 1). 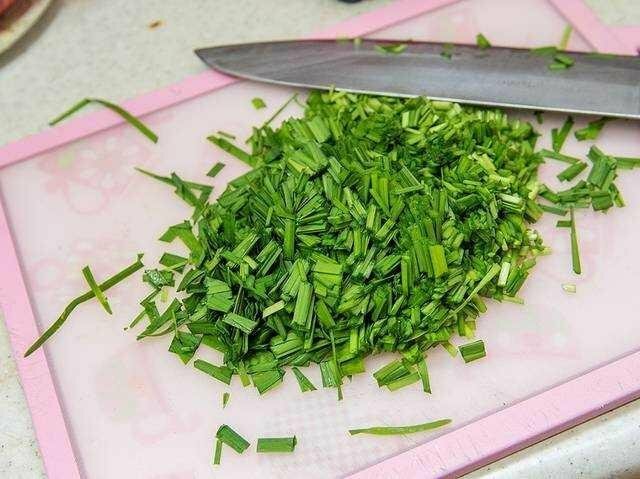 While waiting, chopped finely chives. 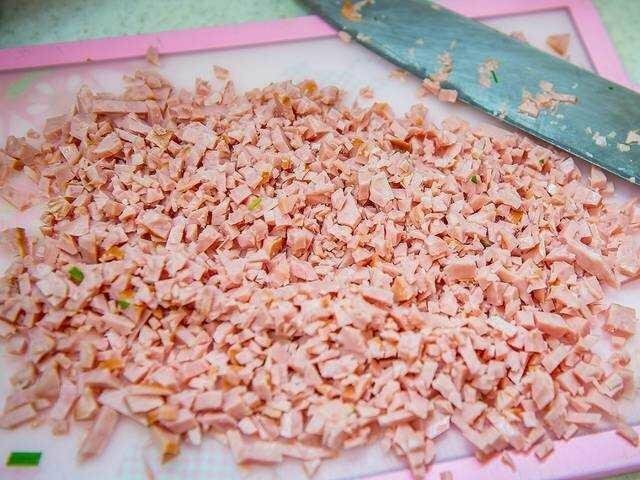 Finely chopped ham tin/sausage/ham sheet. 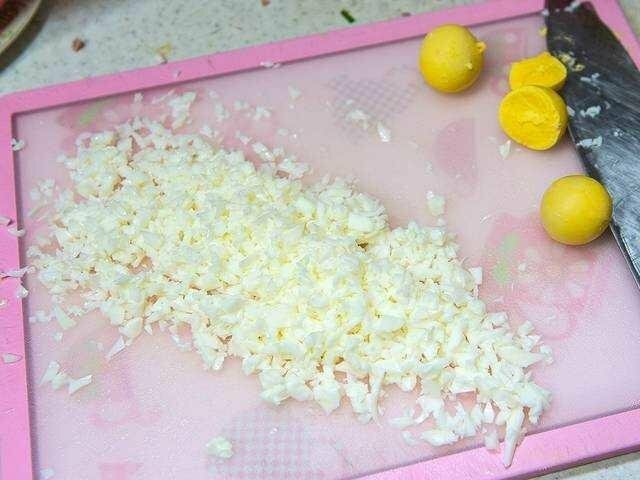 Separate the yolk & egg whites. Chop the whites only. 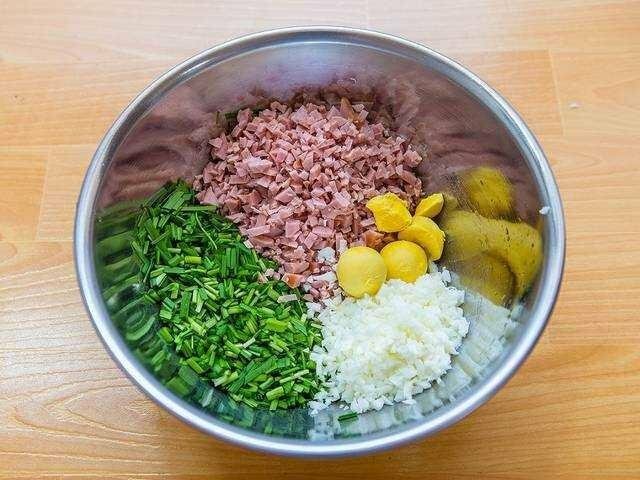 Mix all ingredients into the container. Pour mayonaise. Mix well. Season with salt and pepper. (if less can add mayonaise again). 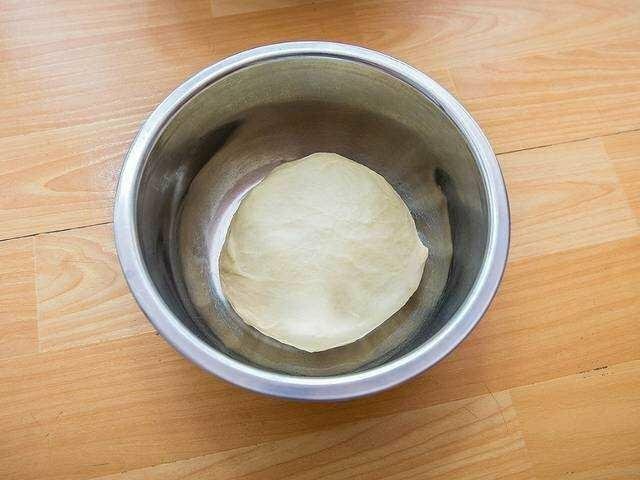 After 1 hour, the dough size will be 2x bigger. If the edges you drag and texture like a spider's web (like the picture), means the fermentation stage 1 succeeded. 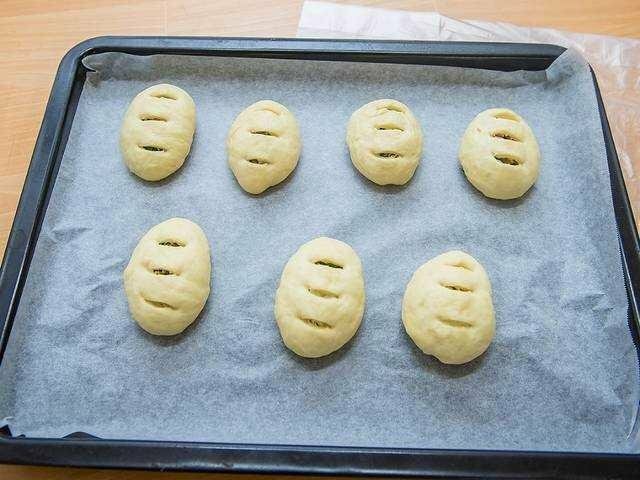 Divide the dough into 14 small pieces (+ - 40gr), cover with plastic and leave for 30 minutes. 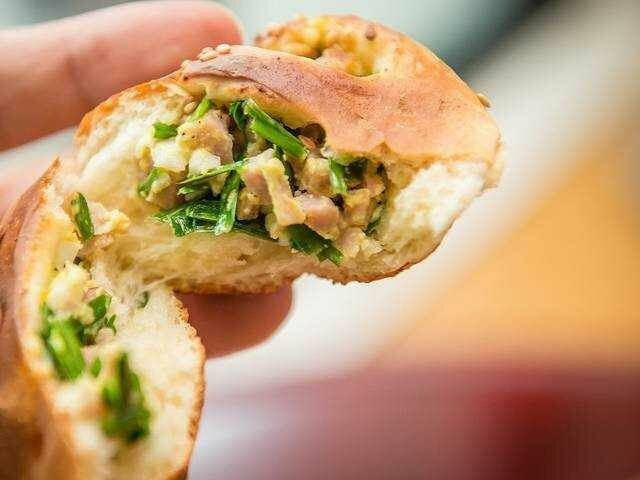 After 30 minutes, roll the dough until flattened, input the stuffing material and cover. stacking on a tray that has been given a base of bread paper/in butter/oil spread. cut the top of the bread as much as 3x. Cover back with plastic, leave for 30 minutes item (fermentation). 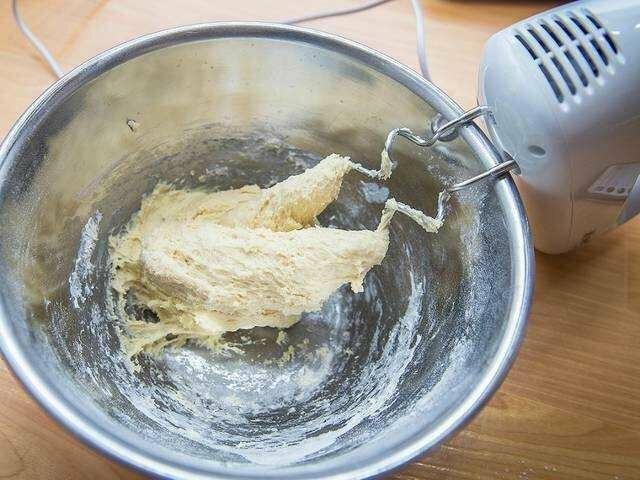 After that, spread the bread surface with a mixture of egg & water. Sprinkle sesame. 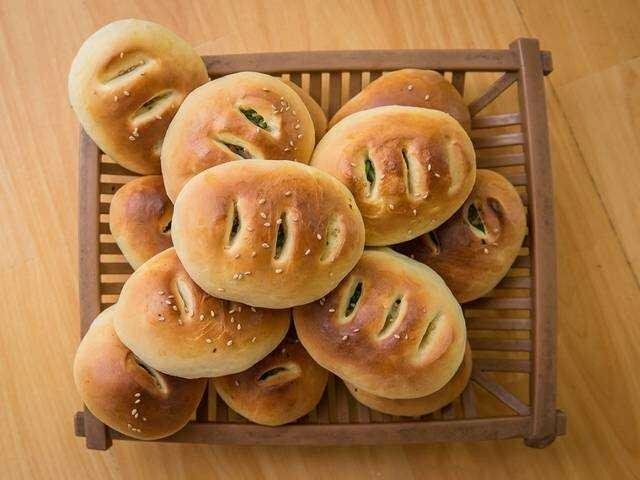 Oven with 180 degree temperature for 12-15 minutes. The bread is ready to be served. Yummy!